Kedleston Hall in Derbyshire is the seat of the Curzon family, who have owned the estate since at least 1297. George Nathaniel Curzon, 1st Marquess Curzon of Kedleston became the Viceroy of India in 1899 and had a passion for Indian art and culture. He was responsible for restoring many of India’s landmarks such as the world famous Taj Mahal. 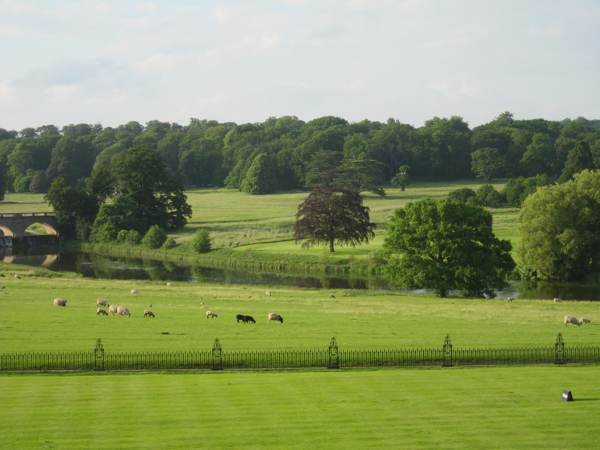 Kedleston itself is now owned by the National Trust and within the lower floors you can find the ‘Eastern Museum’ which holds a collection of objects collected by Lord Curzon and his family on their travels in Asia. 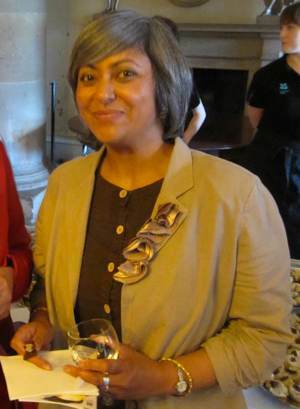 Kedleston has recently been chosen as one of the venues for the Shakti Exhibition. The main purpose of this is to look at ties between Britain and India from a cultural and artistic perspective. The exhibition has been organised by Meadow Arts (further details can be found on their website). I was excited to be able to attend the launch of this amazing exhibition which took place on a glorious Friday evening. Here is a view from one of the first floor balconies. 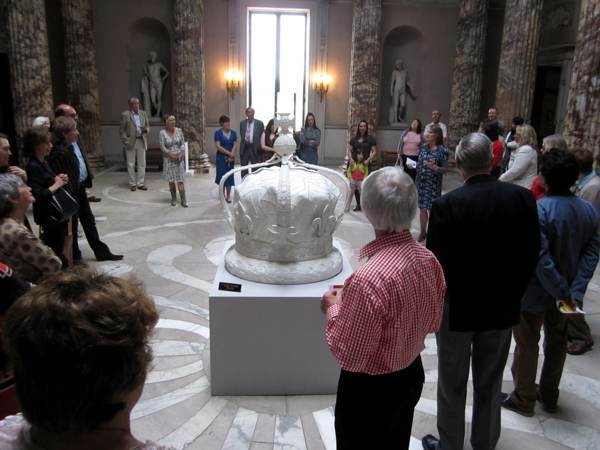 Before we began viewing the exhibition there was a chance to talk to other guests in Ceasar’s Hall on the ground floor of Kedleston. 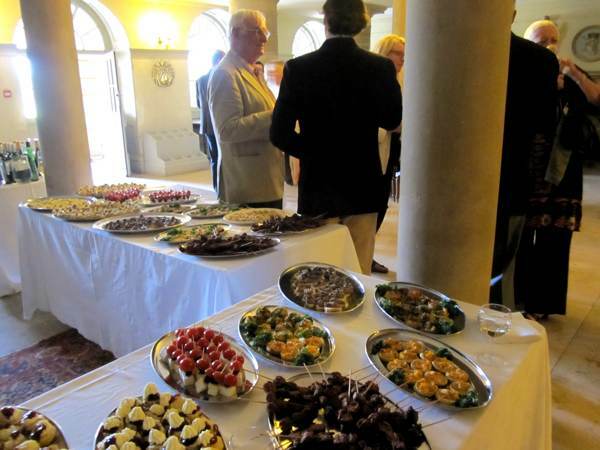 We were served some wonderful food and glasses of wine. Meadow Arts have produced a small booklet with maps to the various artworks and explanations as to why the work was included. Amongst the pillars I spied my first piece :). 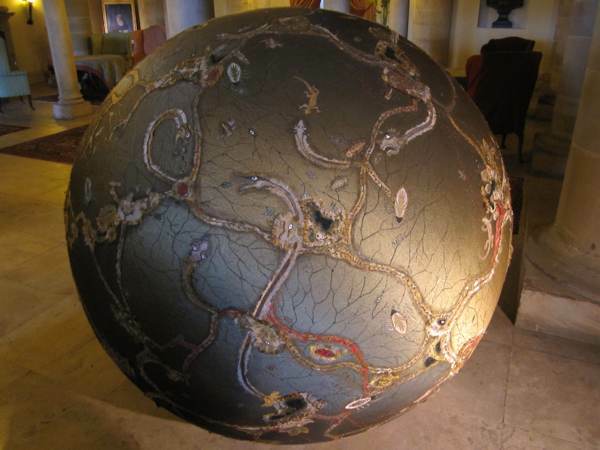 A large round golden ball covered in exquisite embroideries. I tried to take lots of pictures but the camera really doesn’t do this piece justice, it needs to be viewed in the flesh. One picture that particularly caught my eye was called ‘My Virtual Daughter’ by artist Bharti Parmar. It’s a silkscreen print on Fabriano embellished with silk thread. Again you really do need to see the piece for yourself to appreciate the full beauty. We moved from Caesar’s Hall to the State Floor and the magnificent Marble Hall. In the middle of this room was a large crown made with ivory duco paint on fibre reinforced plastic. It’s modelled on Elizabeth II’s crown and the surface is covered with the names of those who fell during the fight for independence. In this picture we are standing listening to Anne de Charmant, Director and Curator of meadow Arts. 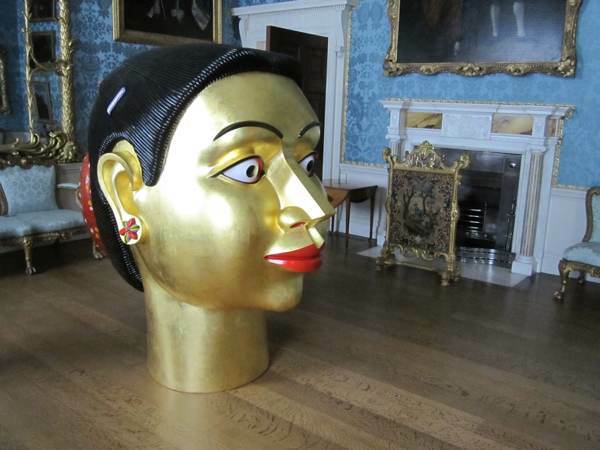 The last picture is of a large gilded head made by Ravinder Reddy, one of India’s most celebrated contemporary artists. There are many more pieces of art and I would thoroughly recommend people make the effort to visit if they can. 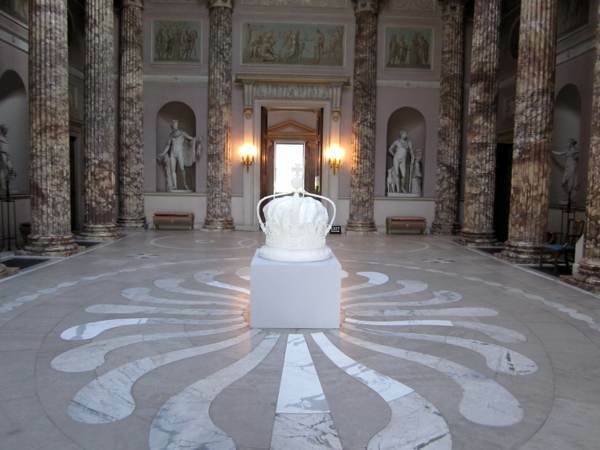 The exhibtion is going to be at Kedleston Hall until 31 October 2013. 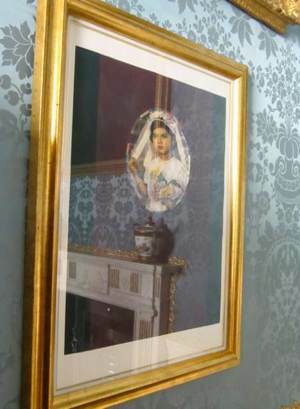 They can also be viewed in Powis Castle, Welshpool, Oriel Davies, Newton and Wolverhampton Art Gallery.